A new article for HSToday. Not quite my most eloquent, but oh well. The plotters discussed bringing their wives, infant children on boardAs of August 2006, those of us traveling on airplanes have faced the new inconvenience of being unable to bring on large bottles containing liquid or other gel-like substances. The genesis of this new layer of protective security on our travel was a plot uncovered by the British Security Services in late July 2006 to blow up in mid flight some eight transatlantic airlines with liquid based explosive devices. It wasn’t until earlier this month that specific details of the conspiracy began to emerge as the trial for eight individuals at the heart of the plot got underway. Predominantly of British-Pakistani origin, though with a West Indian and Caucasian convert among them (the Caucasian, Don Stewart-Whyte, is not being charged in this trial), the group is charged with planning to bring down eight flights between London and destinations in North America with an explosive mixture of hydrogen peroxide and other ingredients in 500ml soft drink plastic bottles. The liquid explosive would have been carefully injected into the sealed bottles, and then a small explosive device smuggled on board in hollowed out batteries would have been attached. The entire concoction would have then been detonated using the flash on a disposable camera, bringing the planes down with as many as 250 people on board each one. In order to effectively smuggle themselves onboard the plane, some of the plotters discussed the possibility of bringing their wives and infant children on board as well, while another apparent strategy was to carry pornographic magazines and condoms to distract anyone searching the bag. Like other plots uncovered before them, the group’s ambitions went beyond the airlines plot. Details found on a memory stick in Assad Sarwar’s possession contained information on gas stations, oil refineries, the National Grid, nuclear power stations, and pipelines in the UK. For many analysts, this plot had many similarities to a previous plot called “Bojinka” that was first hatched by World Trade Center bomber Ramzi Yousef, who had, with his uncle Khalid Sheikh Mohammed, planned to bring down eleven airliners flying to the US across the Pacific Ocean (Bojinka was apparently a word they had heard on the battlefields of Bosnia and sounds similar to the Serb and Croat words for “bang”). Another familiar aspect to this plot was its connection to Pakistan, not only through the plotters heritage, but also physically, with the arrests in the UK coinciding with a series of seven arrests in Karachi and Lahore, including a British-Pakistani national named Rashid Rauf. Rauf. Rauf later managed to escape when police escorting him to jail from court allowed him to pray at a mosque en route while they waited in the car. Initially he was pegged as the “mastermind” behind the plot, but a Pakistani judge threw out the case. (For more on the complexities of the UK-Pakistan relationship, a nation that has connections to some 70 percent of British terrorism investigations according to Foreign Secretary David Miliband, see “Britain’s Pakistan Problem“). These international connections serve only to further complicate the case, which is estimated will take between six and eight months to complete. In a precaution to not allow ill health to impede the legal process, presiding Justice Calvert Smith has three additional jurors sitting alongside the main twelve. Unlike many recent terror cases in the UK where the defendants have pled guilty in the face of overwhelming evidence, this group apparently plans on seeing the trial through. Even at this early stage in the trial, a staggering volume of data has been pushed into the public domain. Eager to prove the reality of the plot to a deeply skeptical British public, copies of the martyrdom videos have been circulated widely, and detail of the viability of the planned explosive and the potential damage it could have wrought have been broadcast to the point that it would seem one could probably design a device based on the information now in the public domain. This stands in stark contrast to early coverage of the plot, which in the UK was scattered and unclear and open to conspiracy theory. This is a consequence of rigid British sub judice laws that mean potentially prejudicial information cannot be allowed in the public domain once individuals have been charged. The New York Times was even obliged to block British readers from accessing a particularly detailed story that it ran. This divergence between what the public and government believe is surprisingly deep. 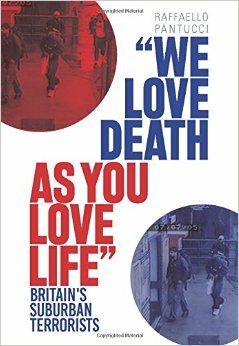 The British government often talks of 30 terrorist plots and 2,000 individuals active in the United Kingdom, yet there is seemingly little evidence of this in daily life. Bridging this perception gap while at the same time running an effective counterterror strategy on the required scale is at the heart of the British dilemma. Who knows how many more plots on the scale of Bojinka 2 might lurk within the 30 suspected plots, or how many resources will be required to stop them.